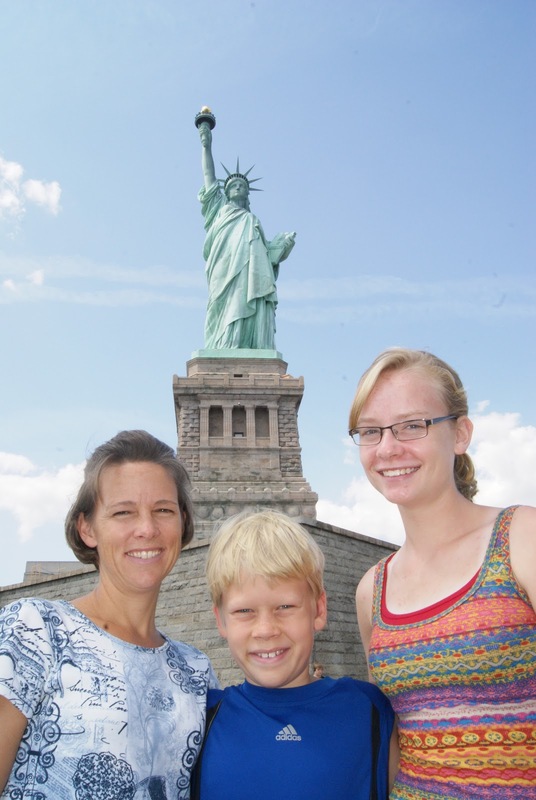 The Petersons at New Hope Uganda: In America!!!! We're in America!! Three weeks from Monday we flew in. The plane rides were very tiring. Most of the day we were on the first plane from Entebbe, Uganda, to London, Great Britain. The rest of the day we were chasing the sun from London to Philadelphia. We stayed with a relative in a town called Haddon Heights that isn't to far from Philadelphia. 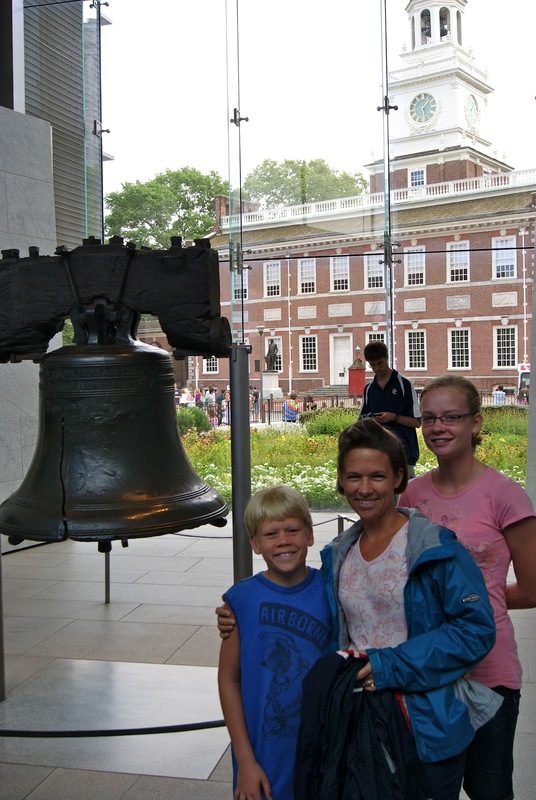 One day we went to Philadelphia to see the historic stuff there, such as the Independence Hall and the Liberty Bell. That was fun and so was going to the Islands of New York. We learned more about the Immigrants that came through Ellis Island. I don't remember learning about them before, but now I have. We also got to see the Statue of Liberty up close. We stayed there for a few weeks until Sunday the 19th, when we left early for a long drive. These drives were even more tiring then the plane rides I think. The first day we drove a 12 hour long drive to Lexington. The second we went to Cincinnati to go to the Creation Museum. That was fun. Then a 4 hour drive to Mount Vernon, Illinois, then an 8 hour drive to here in Tulsa. I barely survived. We miss the Ebenezer kids and they miss us too. We talk to at least one of them at least once a week. Of course we miss the Western families too. We also miss our cat Nutmeg. We have a Western lady looking after the cat and the house. We're looking forward to seeing all of our friends and our relatives as we journey through the States. Thank you all for your prayers and support. We appreciate it very much, especially as we travel across the US. Please pray for the trips, that they would go well. Thanks again, hopefully we will see most of you soon! So great to hear from you again and I can't wait till you get out here! I know you miss your home and friends in Uganda but just know that it's great to see the Petersons in the States again! !